Ok, so that might be a slight exaggeration. :) Please visit my social media sites [links on left side] to see my latest designs. I'm so excited to be part of the Reunion! I had a wonderful experience being part of Art Impressions Design Team and was so honored when Kate invited me to the Reunion Blog Hop. Each Designer is featuring stamp sets and coordinating dies from the Ai CHA Summer 2015 release. 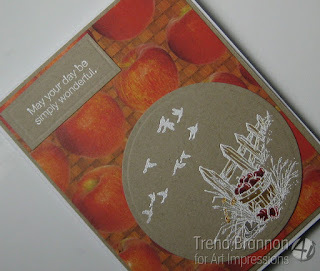 TIP for die cutting with matching stamp images: Cut a template from a scrap piece of paper. Lay it over the stamped image, lay the die inside it. You will get a perfect cut. YES, there are prizes!! 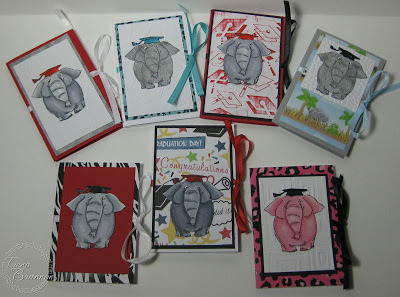 :) Ai is giving away away 7 prizes, 1 of each of the new stamp & die sets! Please commit below and on each blog and click on the image below. Next, please visit Zora to see her fabulous project! If you get lost along the way, just hop to the Art Impressions Blog or reference the link list above. Have fun hopping! Sharing some designs I made featuring Art Impressions images. I used to be on their Design Team and just love Kate and all the staff. The images that Bonnie creates are so much fun to color and design with! Sharing a couple fun designs I did over at my Stampin' Headquarters. Please click on the photo to see the details of how I made them. Sharing a gift card design for Graduates of all levels that I did over at my Stampin' Headquarters. Please click on the photo to see the details of how I made them. Sharing a couple designs with techniques I did over at my Stampin' Headquarters. Please click on the photo to see the details of how I made them. Sharing a couple designs with background techniques I did over at my Stampin' Headquarters. Please click on the photo to see the details of how I made them. Sharing a couple designs with background techniques - photo and space - I did over at my Stampin' Headquarters. Please click on the photo to see the details of how I made them.